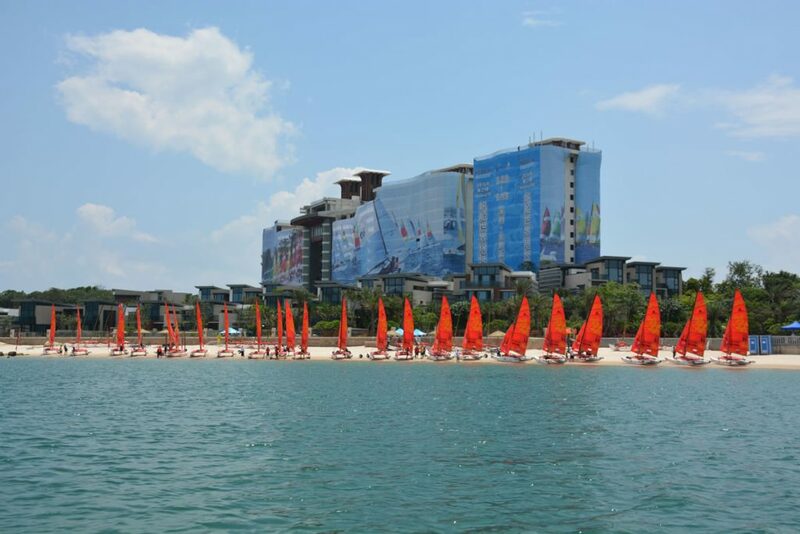 This year Hobie 16 Asian Championship will be sailed at Long Qi Bay, Dapeng, Shenzhen P.R.China, where 21st Hobie16 Worlds were held. This will be in the Northerly Monsoon season, which is normally dry and good sailing conditions with steady consistant breeze. Cost of room(s) Approximately USD 80 (Hotel Harmona) and USD 60 (Hotel Tiandi), breakfast inclusive. Don’t forget the dates 7-10 December 2017. For any questions or more information racing@aojisports.com will answer all your questions.